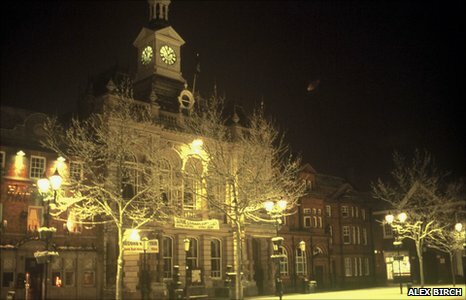 Did Alex Birch photograph a UFO over Retford in 2004? The latest set of government files on UFOs released by the National Archives show that the Ministry of Defence had neither the resources nor the will to study thousands of sightings reported to them over decades, writes Sanchia Berg. He got the shot - the picturesque winter scene you can see above - and he says he did not notice anything out of the ordinary. When he developed the picture though he saw a clear flying saucer shape. It was widely reported in the press at the time, an era when the UFO mania was at its height. By his account, he became locally notorious for years after. Ten years later, he told me, he decided to pretend it was a fake - and he gave a different account to the press. He maintains that picture was genuine. With the second image though, he decided to keep quiet about it, and make his own investigations. He sent the original film to the Fuji lab, for them to examine, he also had his camera checked. Neither of these enquiries found any technical reason for the mysterious shape. So, he contacted the Ministry of Defence. His file is one of those made public in the latest release of documents to the National Archives. Though the ministry sent the picture to its specialist imaging department, they too could find no definite reason for the peculiar apparition. "Insufficient Information " was their conclusion - though they did suggest that a droplet of moisture on the lens could have been responsible. 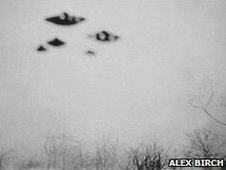 For Dr David Clarke, who has made a close study of the government's UFO files over many years, Alex Birch's image stands out. Dr Clarke is a lecturer in journalism at Sheffield Hallam University, not a scientific expert, but he said that most of the pictures of UFOs can be dismissed as fakes, or more easily explained through technical causes. For instance, mysterious lights seen above Glastonbury in 2003, or other mysterious lights above a music festival in Wales in 2006, both documented in the files. Perhaps the most bizarre account from the files is the 2003 sighting of "worm-shaped" UFOs "wriggling around in the sky" over East Dulwich in London. A mother and daughter reported it to the police but according to testimony she later gave to the MoD's UFO desk, the two police constables who attended the scene were joined by two men dressed in "space suits and dark glasses who called themselves Mork and Mindy". The woman complained of being made "to look foolish". In a letter dated January 21 2003, the woman says "your men have fed us with a lot of rubbish, presumably to make us look foolish and our story unbelievable, which they have succeeded in doing". Alex Birch's sighting is unusual because it was investigated by the MoD. 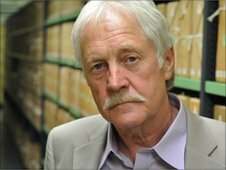 The vast majority of UFOs reported to the government were never looked into, as Dr Clarke explains elsewhere. This file release is the penultimate one: the Ministry of Defence closed its UFO desk in 2009. But people still see what they believe are UFOs. Only last week, BBC Reporter Mike Sewell saw - he said - a UFO in the early hours of the morning, as he drove through a quiet village on his way to Stansted Airport. He sounded slightly embarrassed as he spoke on air of seeing a "disc shaped" craft, flying low over a field. In what I believe to be the most important revelation so far, an intelligence officer reveals that "lack of funds and higher priorities" had prevented any detailed study of the thousands of reports they had received since the end of World War II. The frank admission is contained in a formerly secret document dated July 1995 by a desk officer at DI55, the branch of the Defence Intelligence Staff responsible for the study of UFO reports. The officer concludes the lid had already been blown on secrecy surrounding their interest in UFOs by a series of media revelations. But he said the public perception of DI55 as "defenders of the Earth from the alien menace" was "light years from the truth". that lack of funds and higher priorities had prevented a proper study of UFO sightings". Cuts to defence funding eventually led to the closure of the MoD's UFO desk in November 2009. The MoD says it has no further interest in the subject. 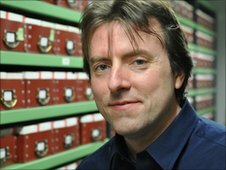 Dr David Clarke is a senior lecturer and course leader in journalism teaching media law and investigation skills at Sheffiled Hallam University.